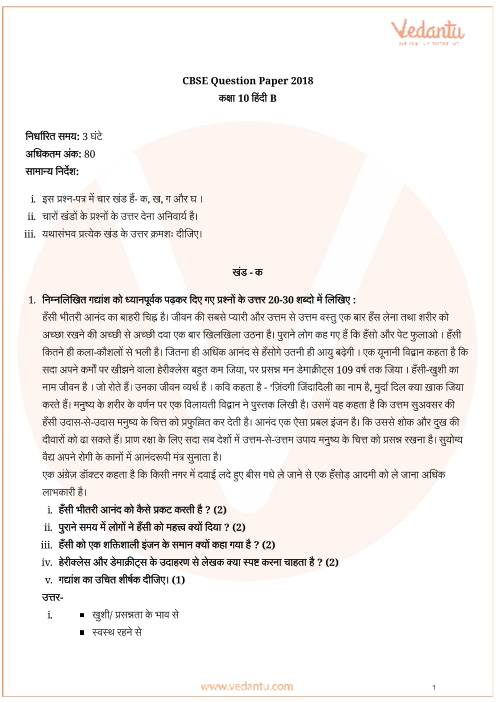 Free PDF download of CBSE Class 10 Hindi B 2018 question paper solved by expert teachers at Vedantu.com. Register for Live Online tuitions to clear your doubts. You can also Download NCERT Solutions Class 10 Maths to help you to revise complete Syllabus and score more marks in your examinations.